Please visit our new events page to stay up to date on what all is coming up at ImpactKC Church. 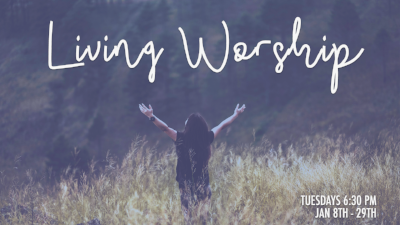 Join Aaron & Emily Davis as they dig deeper into what Scripture says about worship. What did it look like then? What should it look like now? Learn more about physical expressions of worship, connecting with the Father, and the weapon we have through worship. Tuesday nights at 6:30 pm in RM 201 beginning January 8th through the 29th. This class is open to all! Childcare will be provided by Impact Worship up to 5th grade, but preregistration is REQUIRED in order for us to understand the need. Please bring in items by November 30th to the office (T-F 9am-3pm) or directly to Dorothy Austin on Sundays. We are collecting items for blessing bags for a local battered women’s shelter through “Starfish Project”, and hope to make 50 bags!! 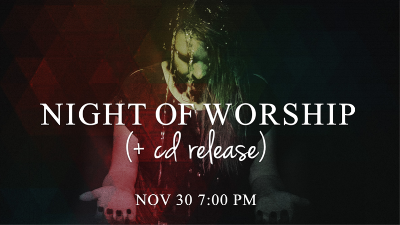 Come out for a Night of Worship, as well as the release of Impact KC Worship’s original EP! Friday, November 30th at 7:00 pm. The first 150 people to purchase the original album will receive a free cover song CD. We are excited to worship together and celebrate all of the things the Spirit of God has been doing in and through this ministry. Invite your friends! If you lead a life group or are interested in leading one, come out and get some great training for leading a life group! Join us Sunday, November 4th at 9:30am in the studio (small house closest to the church on the east side). Come join us in RM 201 at the church to learn more about Impact: Our history, mission, and beliefs. This class will be Saturday, November 17th, 9am-10:30 and will also provide an option to become a member at Impact.